The Optimum 6.25 Inch Microfiber Polishing Pad is engineered to eliminate fine swirls and restore maximum gloss to auto paint. The deep pile microfiber evenly distributes abrasives to create smooth, even results. Use the Optimum Microfiber Polishing Pad for over-all shine enhancement with your dual action or rotary polisher. You'll like what you see! 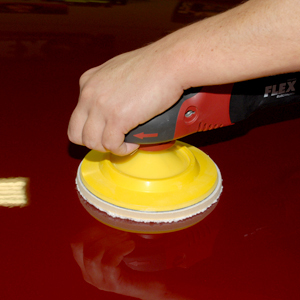 The 6.25 inch pad is great for polishing an entire vehicle quickly and efficiently, from cars to larger trucks and SUVs. Bring out a deep, reflective shine with Optimum 6.25 Inch Microfiber Polishing Pad. Optimum Hyper Polish Spray New Formula!